Trouble seems to be mounting for Chanda Kochhar, the former managing director and chief executive of ICICI Bank as a Singapore-based whistleblower, in a letter, has alleged that Rajiv and Deepak Kochhar "used to take kickbacks from corporate promoters for loans sanctioned by the lender." 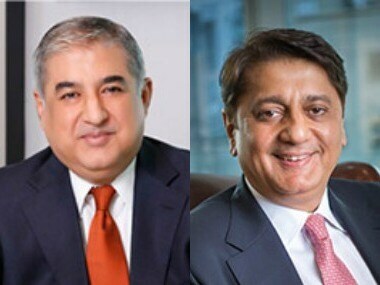 According to Business Standard, the whistleblower has written to the Enforcement Directorate (ED), the Central Bureau of Investigation (CBI) and Singapore investigators alleging that Chanda Kochhar's husband Deepak and her brother-in-law Rajiv were running multiple companies in Singapore, Cayman Islands and India and the primary activity of these firms was to take advisory fees on the loans to be arranged by ICICI Bank. "The firms from where kickbacks were taken are Jaiprakash Group, Suzlon, Bhushan Power and Steel and Sterling Group etc," the newspaper said citing the letter. The ED registered a criminal case under the Prevention of Money Laundering Act (PMLA) early this year against Chanda Kochhar, Deepak Kochhar, Venugopal Dhoot of Videocon Group and others to probe alleged irregularities and corrupt practices in sanctioning of Rs 1,875-crore loans by ICICI Bank to the corporate group. The CBI has named all the three persons and Dhoot's companies—Videocon International Electronics Ltd (VIEL) and Videocon Industries Limited (VIL). In April last year, a second alleged quid pro quo deal had surfaced involving Chanda Kochhar's brother-in-law Rajiv Kochhar. According to The Indian Express, ICICI Bank mandated Avista Advisory Group, a Singapore-headquartered financial services company founded by Rajiv Kochhar, to restructure foreign currency-denominated debt deals worth over $1.7 billion of seven companies over the past six years. "All these companies were borrowers of ICICI Bank at the same time. In at least one of these deals, ICICI Bank was the lead bank of the lenders," the newspaper had reported. The newspaper report further claimed that Avista acted as an advisor in restructuring the debt of Jaiprakash Associates, Jaiprakash Power Ventures, GTL Infrastructure, Suzlon, JSL and the Videocon Group. In March 2018, the ICICI Bank board came out in support of Chanda Kochhar, saying it had full faith and confidence in her and described certain reports against her regarding credit disbursement to Videocon Group as "malicious and unfounded rumours". However, the board lost faith in Chanda Kochhar in April that year following her husband Deepak' disclosure acknowledging dealings with Venugopal Dhoot-led Videocon Group. Last month, Chanda Kochhar told investigators she wasn't aware of her husband's business dealings with Dhoot. She told agencies that she “didn’t discuss her bank-related work with her husband or vice-versa, hence there was no question of taking any favour in lieu of the bank loan," The Times of India reported.